Joel Barriga is a third generation distiller, who currently produces with his son, Adan. 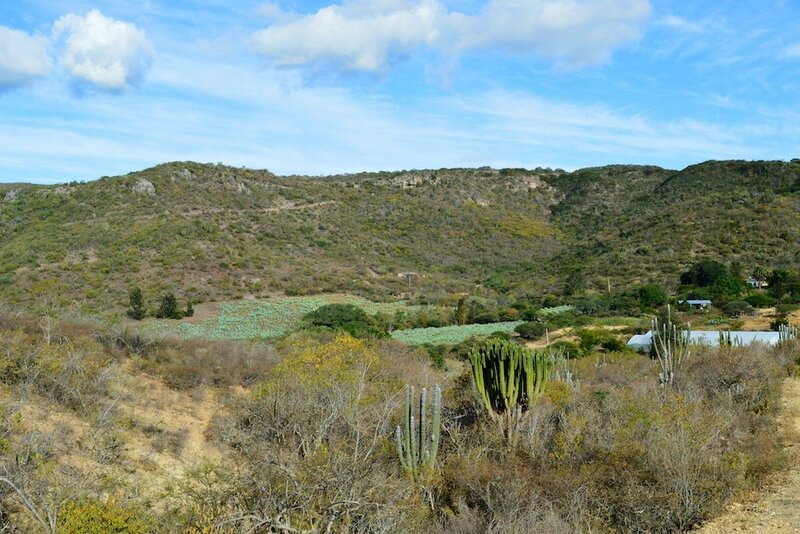 Their process starts with the harvesting of agave near their ranch. 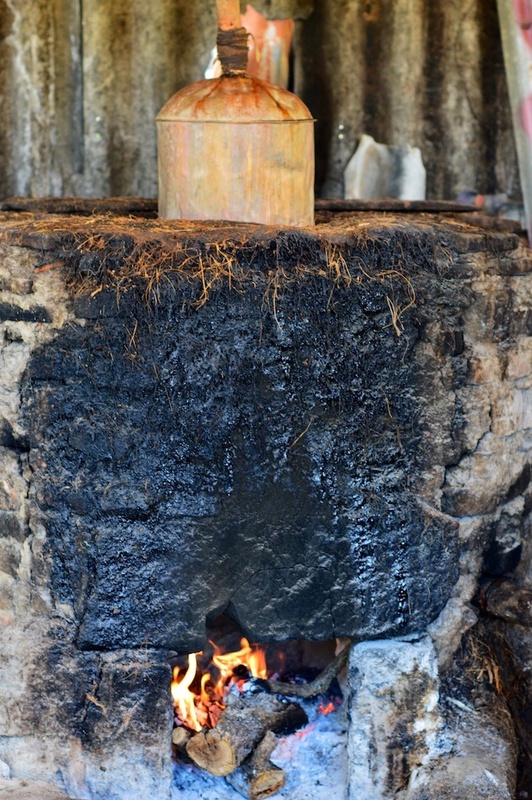 Primarily working with Espadín, he roasts the agave in one of his either 3,000 kilogram or 5,000 kilogram oven using a variety of local hardwoods. The roast in the smaller oven can take as long as three days and the larger as long as four. These roasts are slightly shorter than Aquilino’s due to the fact that the hornos are much smaller. Once the agave are pulled out of the oven they are slowly cooled in the open air. Joel then crushes his agave with a 3½ ton masonry and stone tahona. Once the agave has been slowly crushed, they are placed into 1,300 liter Sabino wood fermentation vats and left to dry ferment for 2 - 3 days. 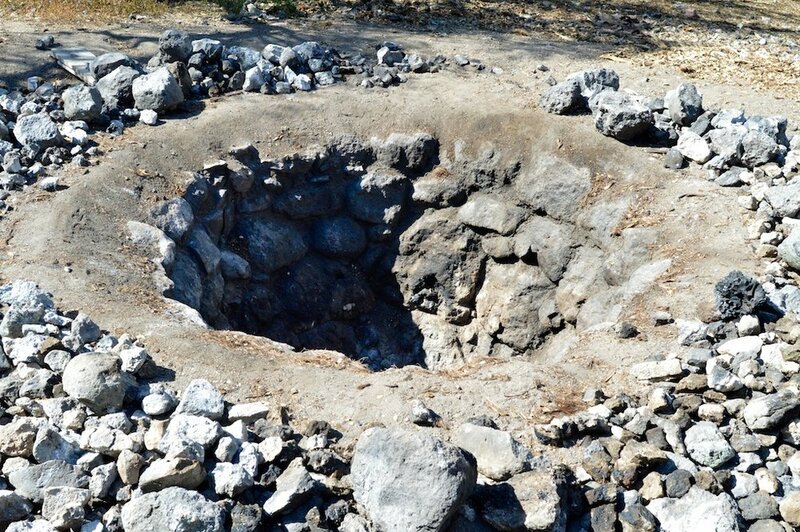 After that, the fermentation vats are filled with liters of water form a natural spring above the palenque. This is the only thing besides agave that that Don Joel uses for his fermentation. Due to the hot, arid climate, Joel’s fermentation rarely last longer than another 3 - 4 days. After with they are transferred directly one of two adjacent 300 liter copper pot stills. Once the stills are filled and sealed, they will then undergo first distillation over 3 - 5 hours. First distillate, or ordinario will begin to fall off the still after twenty to thirty minutes at around 55% and continue down to about 20% ABV after two to three hours, producing roughly fifty to fifty-five liters of ordinario. Over the course of the next hour, distillation will continue, but these last ten to fifteen liters are separated out to be redistilled with the next batch of tepache, as they lack sufficient flavor. Once the entire batch of tepache has undergone primary distillation, it is then returned to the still for the resacado, or second distillation. This second distillation will produce roughly two to five liters of heads, or puntas, which begin to fall at about 75% ABV and contain undesirable compounds such as methanol. After the first few liters of puntas begin to fall the heart, or cuerpo, which is what we as consumers see in the bottle as mezcal. This begins at around 65% ABV and continues down to about 38% ABV. After then begins to fall the tails, or colas, which contain lower alcohols as well as greater esters and acids. Because we make relatively narrow cuts and remove a large portion of colas, we are able to use a small part of these to mix 1:4 with distilled water and use that to bring our mezcales down to bottling proof.